Mahiro Fuwa has left a month ago to find his family's killer without any clues to who it might be. When Yoshino is held at gun-point, Mahiro comes out of nowhere and swiftly saves him and can stop bullets in mid-air, claiming to have a deal with a sorceress; not just any, but the strongest sorceress, Hakaze Kusaribe, who promised to help find his family's killer with her magic so he can kill the killer himself. After saving Yoshino, Mahiro informs him about the epidemic, a curse that turns living things into metal, claiming Kusaribe clan plans to revive the Tree of Zetsuen that could destroy the world. Despite dating many older women, the only one Mahiro ever truly loved was Aika, something that he himself has trouble accepting and passing off his desire for her not to date anyone as simply him being a protective brother. 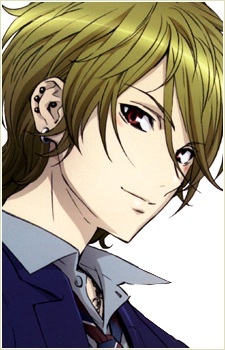 He starts to consider the fact that he truly loved her after Hanemura's statement about his obsession toward Aika. When Hakaze falls in love with Yoshino, he is asked by Samon to kill Yoshino in fear that Yoshino will use that love to manipulate Hakaze into altering the world. However Mahiro declines saying that despite his betrayals he will look out for Yoshino because they are friends. Even after discovering that Yoshino was Aika's boyfriend he still doesn't get angry with him nor desires to get revenge on Yoshino. Mahiro has taught Hanemura how to control his magic and how to use it in combat, bullying him and beating him in the process. Hanemura was the main suspect of being Aika's killer but even so Mahiro developed a deep friendship with him. After watching Aika's video he goes with Yoshino to the Fuwa grave, where he stated that he won’t live like Aika, who thought she’d live in a play someone else wrote. He said he’ll write his own script and live how he wants. He also says that once Yoshino has a new girlfriend, he’ll be a stranger to Aika, but Mahiro will always be her big brother. In the final chapter of the manga we see that he entered university with Yoshino and has a girlfriend called Hayashi Mimori, who happens to be the girl he saved from the iron syndrome before the start of the series.